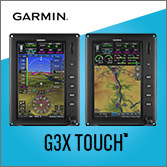 The Hawk series from CGS Aviation is one of our light aviation stalwarts. With more than 1,500 flying since 1983, Hawk is well established and enjoys a great accident record. It flies wonderfully but what may be Hawk's best sales feature in these days of $130,000 LSA is the l-o-w price. Check the video (near the end) to hear price info. 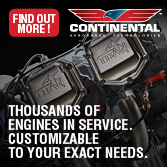 The Hawk series from CGS Aviation is one of our light aviation stalwarts. With more than 1,500 flying since 1983, Hawk is well established and enjoys a great accident record. It flies wonderfully but what may be Hawk’s best sales feature in these days of $130,000 LSA is the l-o-w price. Check the video (near the end) to hear price info. In the beginning ... the light aviation world was void and without form. Those were the earliest days of light powered aircraft that people could truly afford. I refer way back to the late 1970s following a period when hang gliders were the darlings of the affordable aviation world. Hang gliders evolved in various dimensions, among which was the addition of an engine to a previously unpowered type of flying machine. In those formative years one man stood large. Not only a big man in physical form, he was big in stature and bold in his goals. Some readers already know to whom I refer — the always impressive and irrepressible Chuck Slusarczyk. History about him goes back far enough that much of it precedes the World Wide Web. The earliest articles about Chuck and his enterprise never made it into the digital universe but see this link for a number that did, including some videos. Chuck is now enjoying his retirement, having sold off his company after producing around 2,000 Hawks in various forms: Part 103 ultralights, experimental single seaters, two seater tandems, Hawks on floats, and a Light-Sport version. The history of the Hawk is so rich and varied that it would take a full article to describe it all. Fortunately, website members can read much of the history here. After operating his company — called CGS Aviation, the letters following on his earlier Chuck's Glider Supplies — for many years, Chuck found a buyer in Alabama named Danny Dezauche. For a few years Danny kept the brand alive but more recently he sought and found a buyer to continue the iconic airplanes. In January of 2016, after earlier suitors didn't pan out, Danny (featured in the one of videos mentioned above) sold the company to Floridian Terry Short. 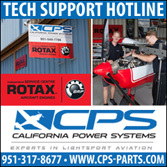 His enterprise, Terry Short Aviation Services, "Home of CGS Hawk Aviation," is based at the Lake Wales Airport. Terry got his start in aviation like many youngsters, building radio-controlled airplanes back in the 1970s. After spending eight years in the U.S. Navy, Terry obtained his Private Pilot certificate in 1994. 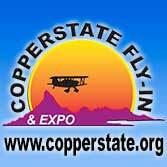 However, he said, "I preferred to fly ultralights and Light-Sport Aircraft." "I started building scale model aircraft and competing in realistic flight and realistic scale competition in 1980s," Terry explained. His RC building efforts including a half-scale J3 Piper Cub and he reported that he won first place awards "due to detail and quality of realism" in his assemblies. "I purchased my first full-scale ultralight in 1995 at Sun 'n Fun, an Airbike from Team Aircraft," Terry recalled. "This was the start of building a variety of light planes: an Aerosport II, a Capella, a Rans, and a Kolb." He said he enjoys restoration projects, a favorite of which "has always been Piper J3 Cub." Terry reports restoring six Cubs in the past 15 years. "I like to fly them, but I really enjoy the project part of it the most." "My love for the projects led me to establish my own restoration and services business this year," Terry said, "and I will be retiring from Polk County School Board soon to focus on new business with my son, Chris." 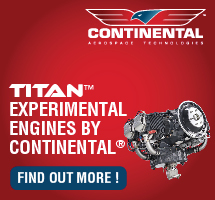 "We will be offering support on all Hawk aircraft and will build and sell Hawk Ultra and two-place Hawk Arrow kits, as well as the two-seat Special LSA Hawk II." Given the population of hundreds of Hawks in the light aircraft fleet this is bound to be welcome news to those needing parts and service. Over the years Chuck Slusarczyk operated the business, I believe I flew every model the pioneer created. Chuck and I were contemporaries in the early days of hang gliding and I came to know the man very well. Along with many other light aviation enthusiasts, I always looked forward to more of Chuck's highly entertaining sense of humor. 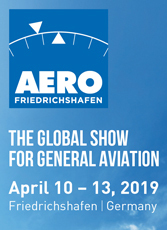 I cannot imagine Terry Short or son Chris can continue that particular part of the Hawk tradition but in a period when plenty of pilots lament the high cost of very sophisticated Light-Sport Aircraft, the CGS Hawks offer a more modest expense. These are simple airplanes but they've proven themselves over many years. I also know several builders of kit Hawks and the project demands a lower number of hours. Flying any of the Hawk models is quite straightforward. The handling is docile and flight characteristics are predictable. 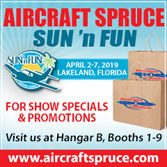 If you are headed to Sun 'n Fun in a couple weeks, you can find out more about CGS Hawk aircraft at the booth of Terry Short Aviation Services, space LP-007A in Paradise City. He reported he will not have an aircraft — "We've just received all the components and tooling and didn't want to just throw something together to show" — but he will be available to answer questions. In the beginning … the light aviation world was void and without form. Those were the earliest days of light powered aircraft that people could truly afford. I refer way back to the late 1970s following a period when hang gliders were the darlings of the affordable aviation world. Hang gliders evolved in various dimensions, among which was the addition of an engine to a previously unpowered type of flying machine. In those formative years one man stood large. Not only a big man in physical form, he was big in stature and bold in his goals. Some readers already know to whom I refer — the always impressive and irrepressible Chuck Slusarczyk. History about him goes back far enough that much of it precedes the World Wide Web. The earliest articles about Chuck and his enterprise never made it into the digital universe but see this link for a number that did, including some videos. 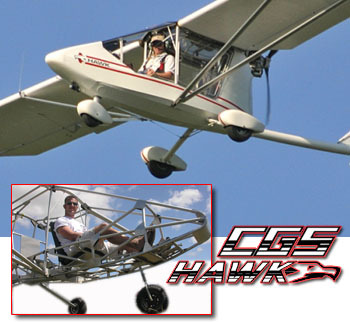 CGS employee Nick Chrislieb, modeled the Hawk SLSA in bare airframe form at Sun 'n Fun 2007. Note the curved structural member above the aft tandem seat matching the one above Nick's head. Hawk has evolved significantly over 26 years of development. More Hawk facts. 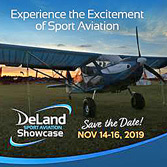 The latest aircraft to earn Special Light-Sport Aircraft airworthiness (SLSA #77) is one of America's most familiar and best proven models. CGS Aviation first offered its Hawk model 26 years ago, in 1982. Since then, many model variations have been brought to market...single seat versions, two seaters, tri-gear, taildragger. Regular evolutionary changes resulted from the continuous process of development and refinement. 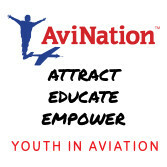 These efforts have sold more than 1,750 Hawks to pilots who fly them across the USA and all over the globe. *** Many years after company owner and designer Chuck Slusarczyk first offered his "real airplane" ultralight, it is appropriate that he and his Hawk Arrow II join the SLSA parade. Customers have a major reason to rejoice. Read carefully: the first 10 Hawk SLSA will be sold for $39,995 ready-to-fly with the Rotax 582. This is, by a wide margin, the lowest price yet for any certified LSA. Hawk fulfills the promise of a low-price LSA that beckoned to many when the rule first came out in July 2004. 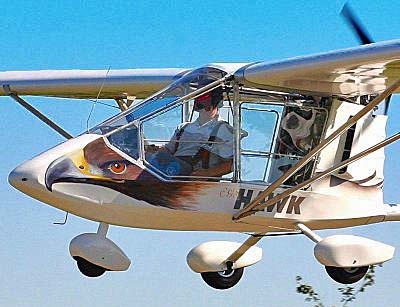 *** Chuck advises that he will also offer the Hawk SLSA with the Jabiru 2200, the HKS 700E, or the Rotax 912UL. And, he plans to offer a kit ELSA to allow owners to do much of their own maintenance. The latest aircraft to earn Special Light-Sport Aircraft airworthiness (SLSA #77) is one of America’s most familiar and best proven models. CGS Aviation first offered its Hawk model 26 years ago, in 1982. 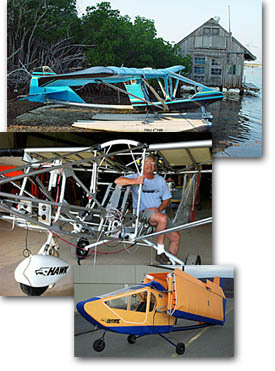 Since then, many model variations have been brought to market…single seat versions, two seaters, tri-gear, taildragger. Regular evolutionary changes resulted from the continuous process of development and refinement. These efforts have sold more than 1,750 Hawks to pilots who fly them across the USA and all over the globe. *** Many years after company owner and designer Chuck Slusarczyk first offered his “real airplane” ultralight, it is appropriate that he and his Hawk Arrow II join the SLSA parade. Customers have a major reason to rejoice. Read carefully: the first 10 Hawk SLSA will be sold for $39,995 ready-to-fly with the Rotax 582. 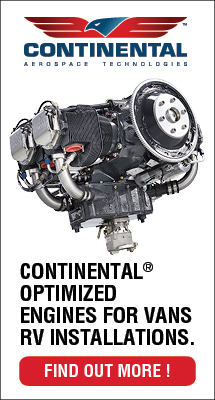 This is, by a wide margin, the lowest price yet for any certified LSA.